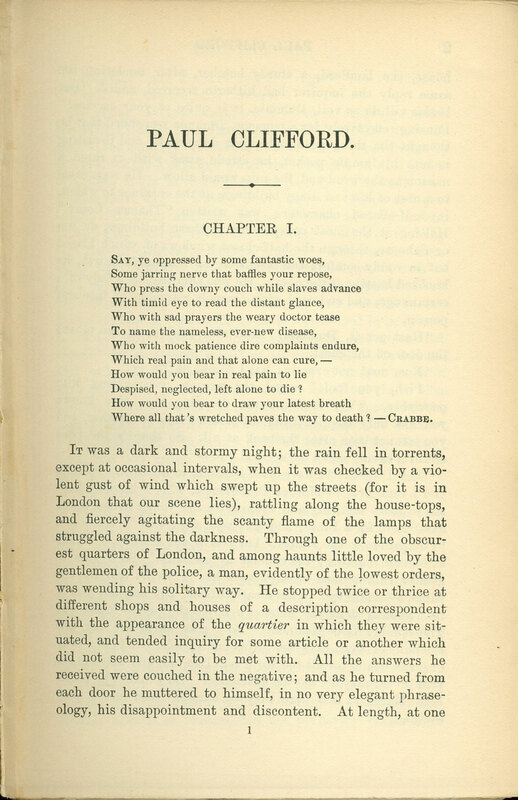 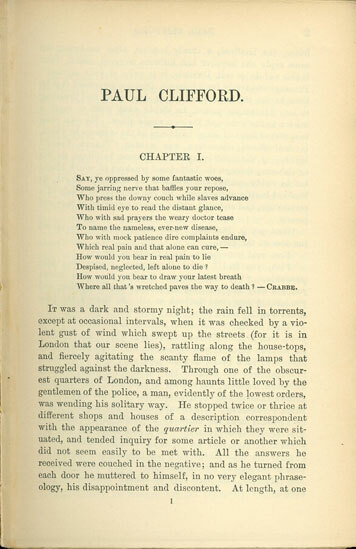 By the author of "It was a dark and stormy night"
In the year 18__ I settled as physician at one of the wealthiest of our great English towns, which I will designate by the initial L____. Thus, Bulwer-Lytton is now known as a practitioner of "purple prose." 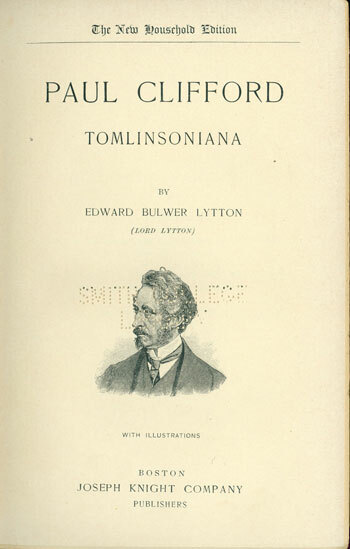 Since 1982 the English Department at San Jose State University has sponsored the Bulwer-Lytton Fiction Contest, a whimsical literary competition that challenges entrants to compose the opening sentence to the worst of all possible novels.